When Martha Stewart gives advice on cooking, the whole nation listens, which is why it is so wonderful to see that she is listening to what the nation has to say as well. Her last year’s Thanksgiving meal kit available via Marley Spoon was nothing short of impressive. However, some home cooks found it to be a bit expensive and too complex for their taste. That is why this year, Marley Spoon and Martha have decided to give America what it really wants and that is a gorgeous, gourmet Thanksgiving meal that costs less and does not require advanced cooking skills or too much time in the kitchen. Let us check out the content of Martha’s improved Thanksgiving kit, as well as its price tag. Thanksgiving is once a year, so why not make your dinner extra special and give your guests something to talk about until next November? This time, Martha Stewart has managed to keep the dishes seemingly complex while making them much easier to cook. Of course, with all the side dishes and dessert to make, you cannot expect to have your dinner ready in an hour. Still, the recipes are much simpler and basically fail-proof, so you do not have to fear that the end result may not be as amazing as you want it to be. You can choose from 2 options: The Complete Feast and Just The Sides. Both kits feed 8 to 10 people and include classic herbed stuffing with dried cherries, Big Martha’s mashed potatoes, roasted root vegetables with brown butter, sage, and almonds, green beans with shallots and lemon, and spiced apple oat crisp. 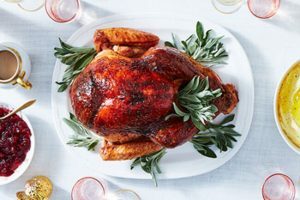 The only difference is that The Complete Feast kit also brings you the recipe and ingredients for Martha’s special brown sugar glazed turkey and gravy. Like last year, the kits are exclusively available via Marley Spoon delivery service. The Complete Feast kit costs $159.99 while Just The Sides kit, sans turkey, costs $99.99. That means that in comparison to last year’s prices, you pay $20 less per kit. 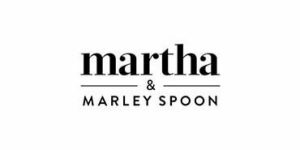 If you are not a Marley Spoon subscriber, worry not, because you can get your kit as a one-off purchase, without subscribing. They will be available for ordering via Marley Spoon’s official website until November 15, 12:00 ET. Keeping in mind that there is not much time left and that the supplies are limited, we suggest you rush over to Marley Spoon’s site and secure your kit or kits – if you are having a big crowd over for Thanksgiving. With a bit of Martha’s magic, this Thanksgiving dinner is going to be the best ever.